How does a city's legendary past affect its present? Thebes remains a city with one of the richest traditions of myth in all of Greece - it was the home of Cadmus, Oedipus, and Hercules, and the traditional birthplace of Dionysus. The city's topography, both natural and built, very often plays a significant role in its myths. By focusing on Greek literature ranging from the oral epics to the travel writing of the Roman Empire, this book explores the relationship between the city's spaces as they were represented in the Greek literary tradition and the physical realities of a developing city that had been continuously inhabited since at least the second millennium BC. 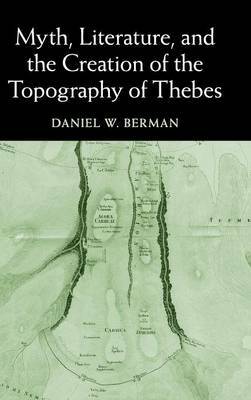 Spurred on especially by the city's catastrophic sack by Alexander the Great in 335 BC, the urban topography of Thebes came more and more to reflect the literary, even fictional, constructions of its mythic past.